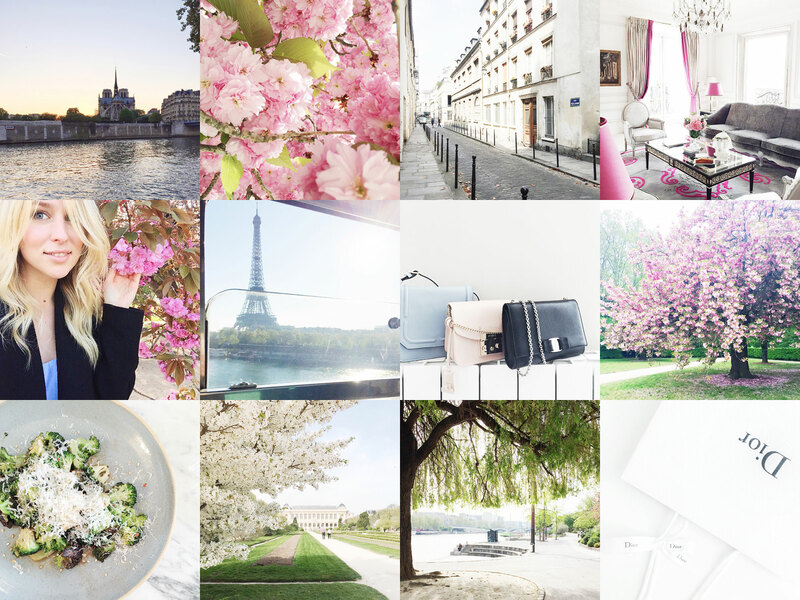 Picnics by the Seine, pretty pink blossoms, Parisian streets and my favourite suite at the Plaza decorated in greys and pinks. I think I feel the most at home among a sea of beautiful blossoms, my metro view on my way to a job the other day, organising little bags and trinkets at home and the magical Parc de Sceaux right before our sunset picnic. Broccoli yumminess at Ellsworth, Jardin des Plantes, a morning stroll along the river and favourite things from Dior.